My new YouTube video is out, Wonderful in Complexity. I’m a construction manager by trade, overseeing the assembling of projects from sets of plans from designers. Because of this I can’t help noticing when something is extremely well designed and executed; and of course, I see this in the apple tree. 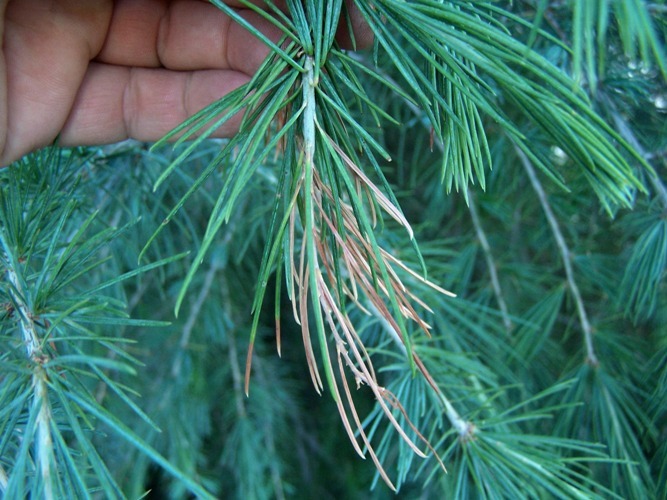 We have a lot of dead tips on our Deodar Cedar trees. This is a bit alarming to me, first of all because they are usually bombproof healthy, second of all I’m wondering if whatever it is can hurt apples. If anyone has any idea what’s causing this, let me know; I just noticed it today. We received an update from Pastor Emmanuel in Rwanda (that’s him in the middle) that the shipment arrived safely in Rwanda. We were worried about this as we hadn’t heard anything since shipping in late March, but all is well. 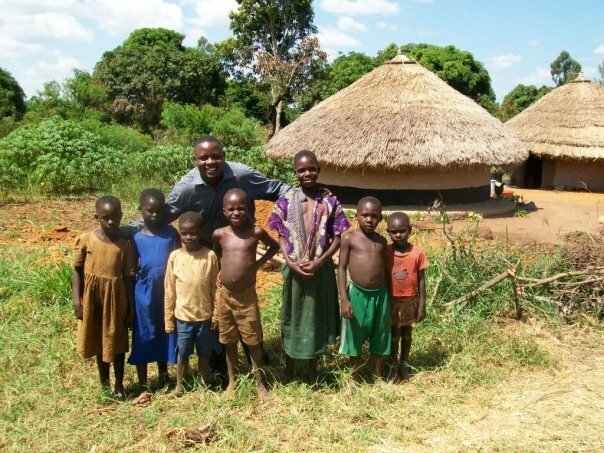 They were planted in Western Rwanda in the highlands near the volcanos and also in Eastern Congo, where he runs some group homes for widows left over from the 1996 war that killed 1000 people in one village alone. We’ll post some photos if they arrive. We’re praying that both the trees and these little kids grow up to big, strong, and productive. God bless you Pastor for the work you’re doing there in the name of Jesus. There’s great excitement in Zambia this spring; the first pink blossoms are emerging on the Dorsett Golden trees (above) and Anna trees (below). 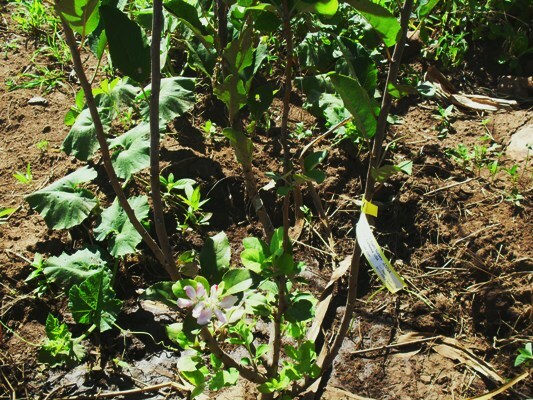 These two varieties constutue the backbone of any tropic apple culture, and once you have just a single tree of each, you’ll be able to reproduce and unlimited amount of new ones. 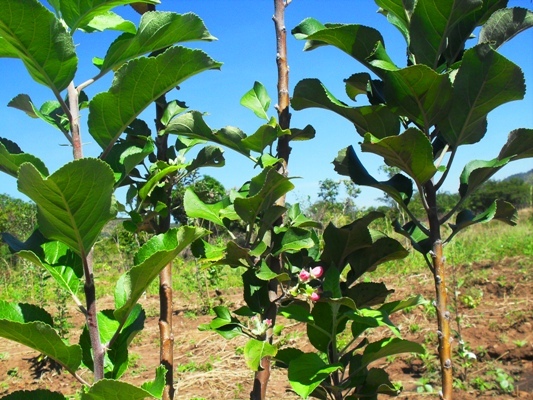 The trees are obvioulsy happy there and the ground seems fertile and well-watered; besides these two staples we sent them about 20 new promising varieties to try, with the aim of finding more marketable apples with good color, keeping abilities, and disease-resistance in a tropic climate. But regardless of these, they’re off to a pretty good start.